K.R. 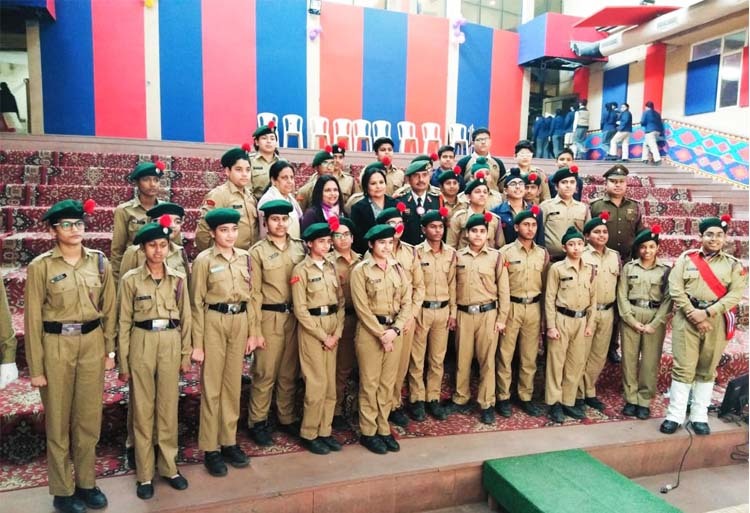 Mangalam World School celebrated the Army Day on 15 January 2019, in recognition of Field Marshal K.M. Cariappa’s taking over as the first Commander-in-Chief of the Indian Army from General Sir Francis Butcher, the last British Commander-in-Chief of India, on 15 January 1949. The Chief Guest Colonel Rupan Basu Chaudhary ( Sena Medal) graced the occasion. A contingent of smartly turned out NCC cadets from the school welcomed the chief guest. The Chief Guest planted a sapling to mark the occasion and also imparted information about NCC and the importance of drill during the camps. The Colonel lauded the efforts of the NCC in bringing about a change in the attitude of the youth of the nation, through its untiring efforts and dedication. He also shared his experience of being an Army Officer. The cadets also shared their experience of being a part of the NCC. 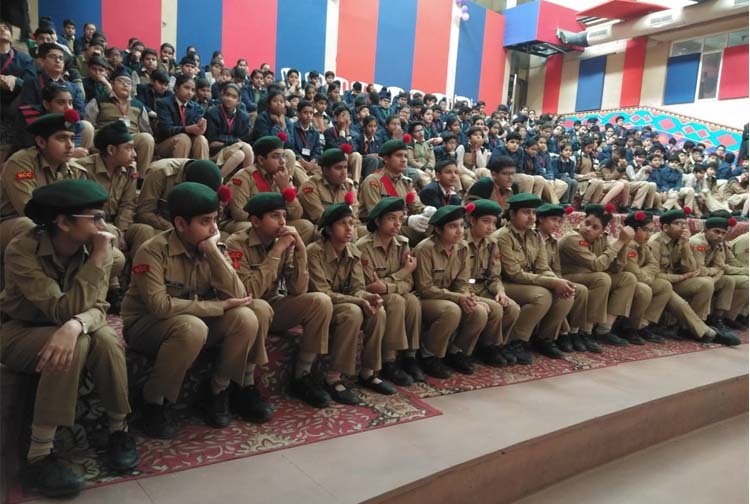 An interactive session took place where the school NCC cadets and other students enquired more about the NCC training camps and various career opportunities one can have after joining NCC. The Principal, Ms.Priya Arora, thanked the Chief Guest who graced the occasion and the programme concluded with the National Anthem.